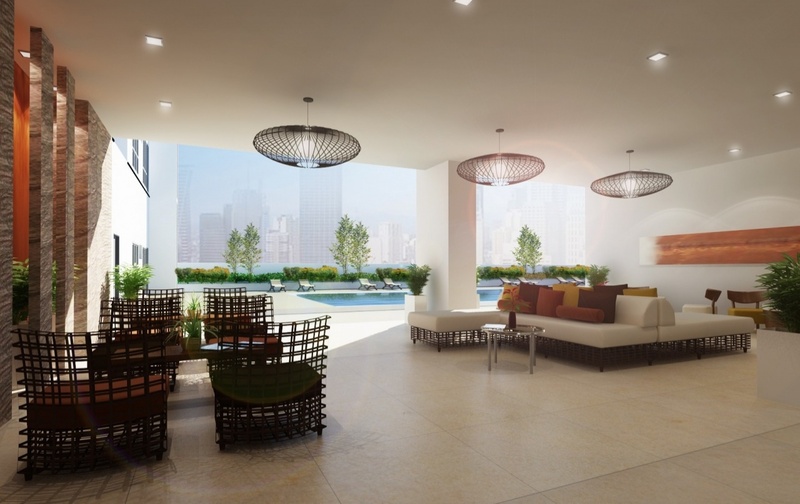 Kroma Tower is Alveo Land's hottest mixed-use high-rise development in the Makati Central Business District (MCBD). Located along the energetic Dela Rosa Street, Kroma Tower pumps up urban lifestyles with proximity and access to the city's power core, space-efficient units, and sleek amenities, including a rooftop enterprise lounge with killer city views. Commanding 47 storeys on a 3,613 sq.m. land area, Kroma Tower will offer over 1,600 sq.m. of urban amenities, including an enterprise lounge and landscaped public park. It will also feature retail shops and restaurants on the building's second floor, on top of prime connections to MCBD's top cultural, business, and lifestyle destinations. 3,613 sq.m. | 38,890 sq.ft. Studio Unit: 27 sq.m. | 290 sq.ft. One-Bedroom Unit: 55 sq.m. | 592 sq.ft. Two-Bedroom Unit: 93 sq.m. | 1,001 sq.ft. Kroma Tower is located at the heart of the Makati Central Business District (MCBD). Right within the MCBD north cultural district in Legaspi Village, and along the vigorous street of Dela Rosa, it is within walking distance from key establishments such as Makati Medical Center and DLSU Graduate School of Business. Kroma Tower will also be directly linked to key establishments around MCBD with an integrated pedestrian walkway network.